Calvin Ky Sherrod, 89, of Amarillo, went to be with his Lord and Savior September 6, 2018. Funeral services will be held at 1:00 p.m. Saturday, September 15, 2018 at Region 16 Education Service Center, 5800 Bell Street. Burial will be at Llano Cemetery East. Visitation will be Thursday, September 13, 2018 from 6:00 to 8:00 p.m. at LaGrone Blackburn Shaw, 8310 S. Coulter St.
Ky was born in Aspermont, Tx on September 3, 1929 to Lester A. and Claudie Bell Sherrod. the football team. He obtained his Master’s Degree in Education. Ky married the love of his life, Frances Florene Bussard in Raton, NM on August 23, 1952.
was promoted to Superintendent. He proudly served as Superintendent of Channing Schools for 36 years. Frances and Ky were blessed with three athletic sons, Randy, Brent and Mark. Family time was spent honing basketball skills, disciplining school kids, and contributing to the Channing community. He believed the “Spare the rod, spoil the child” theory as taught in the Bible. He disciplined with love and was respected by both school children and their parents. The Channing School System was fortunate to have excellent teachers who gave each student a solid base for furthering their careers at the University level if they so chose. Many lifelong friendships were begun in Channing and students still came by to visit Ky through the years. What an educator Ky Sherrod was in all aspects of his life! He never met a stranger. Ky loved his family, friends and especially “those” grandchildren. He was always ready to do anything his grandkids wanted to do and take them anywhere they wanted to go. It did not matter what day it was or what time, Ky would not disappoint! Ky served on the Education Service Center Board of Directors from 1995 to 2016. 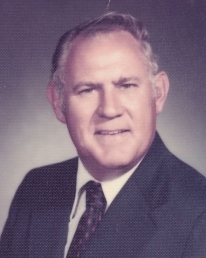 He was a member of the Masonic Lodge, a Lifetime member of the Texas State Teachers Association and a Lifetime member of the Texas Association of School Administrators. Ky was a member of Crossroads Country Church. He was preceded in death by his wife Frances, his son Mark, his brother ML, and his parents. He is survived by his brother, Wham Sherrod and wife Barbara; son, Randy Sherrod and wife Carolyn; granddaughter, Tara Dunn and great granddaughter, Hadley Dunn; son, Brent Sherrod and wife Joy, granddaughter, Tiffini Arrington and husband Shawn, great grandkids, Noah, Cross and Alexandria; grandson, Brett Britton and wife Sonya, great granddaughter, Bentley; grandson,Trey Britton, great granddaughters, Kristen and Linzy; granddaughter, Darcee Maddy and husband Tim, great grandsons, Eli and Ethan; granddaughter, Keelie McDonald and husband Eric; grandson, Caeleb Ky Sherrod and wife Michelle, grandkids, Collin Ky, Blake and Kate.